This summer, why not explore the great, wide expanse of the U.S.? Should you need a few days off we’ve got options from coast to coast including top luxury hotels and a few hidden gems that won’t break the bank. Just make sure to send us a postcard! Still considered the first luxury hotel on the Cape (opened in 1914), this sprawling 25-acre shingled retreat is perched on a bluff overlooking the waters of the Atlantic. 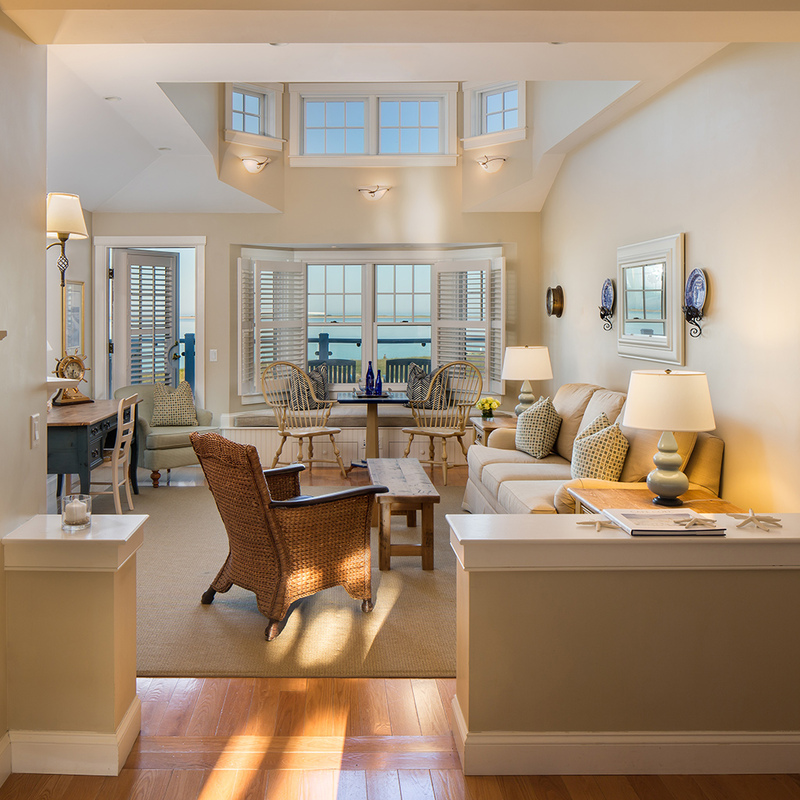 In true New England fashion, the 217-rooms include bay windows and private decks with ocean views. For fresh seafood, drop by the Sacred Cod Tavern and for dry-aged beef, nab a table at Stars—two of the inn’s restaurants. 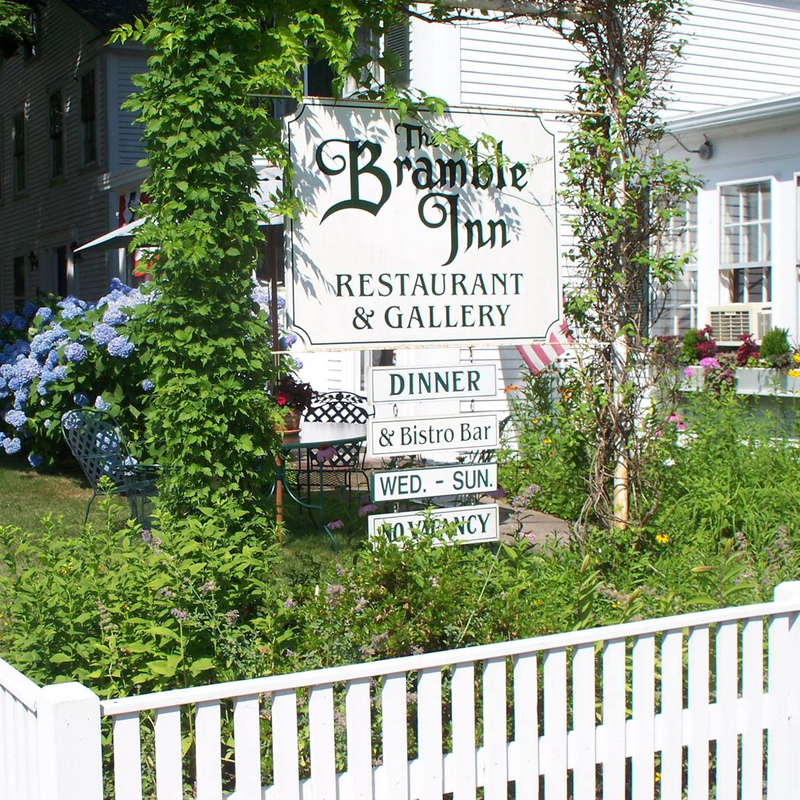 Just off Cape Cod Bay, this charming old sea captain’s home is a quaint bed and breakfast. Dressed in 1800’s antique furnishings with a European flair, the small rooms are perfectly comfortable with vintage wallpaper and crocheted canopy cover and bedspread. And, the critically hailed restaurant delivers both local and seasonal American fare including starters like spicy Provincetown mussels with chorizo sausage and Chatham cod with Chinese black rice pilaf. In the morning, after coffee and breakfast in the leafy courtyard garden, walk to Breakwater Beach, a mere half mile away. 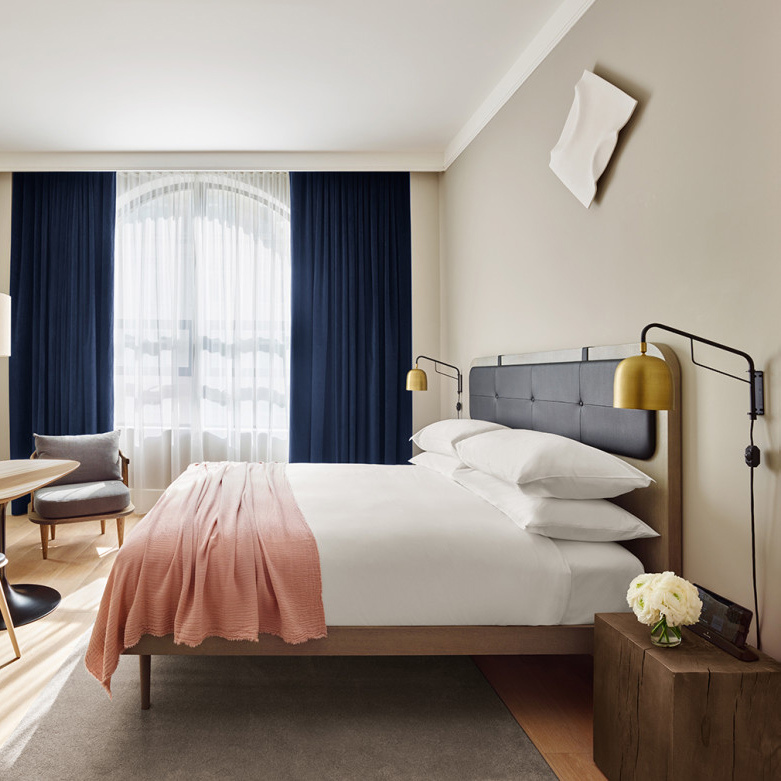 In lower SoHo, the stylish, new visual wonderland, 11 Howard features 221-rooms with a hip Scandinavian look – a meld of Danish design and a clean palette with a pop of blush pink. The art savvy will appreciate works by mid-century artist Alexander Calder, Katie Yang and Dan Attoe, and on the side of the building is a mural by local kids who worked under the artist Jeff Koons. Don’t miss Le Coucou, the French restaurant helmed by the revered chef Daniel Rose. And even though a standard room can set you back more than $340 a night, you can feel good knowing that a percentage that money goes to Global Poverty Project. Location, location, location! From hotelier Sean MacPherson, this West Village red brick hotel is housed on a corner Hudson riverfront building. Its small rooms resemble luxe train sleeper cars (some bathrooms are shared and co-ed) while captain’s cabins, which are best for couples, boast waterfront views and private bathrooms. The chic staple Café Gitane doles out avocado toast while the rooftop is the place for summer cocktails and stellar views. Housed in a historic Victorian house, with only 14 rooms, this boho boutique in South Austin is both an exercise in arty southern hospitality and rock star flare. Rooms pick up a vibrant mix of art, vintage furniture and fancy mattresses from Swedish outfit, Hastens. The bed-and-breakfast style food spread includes fresh everything and a boozy Sunday brunch. 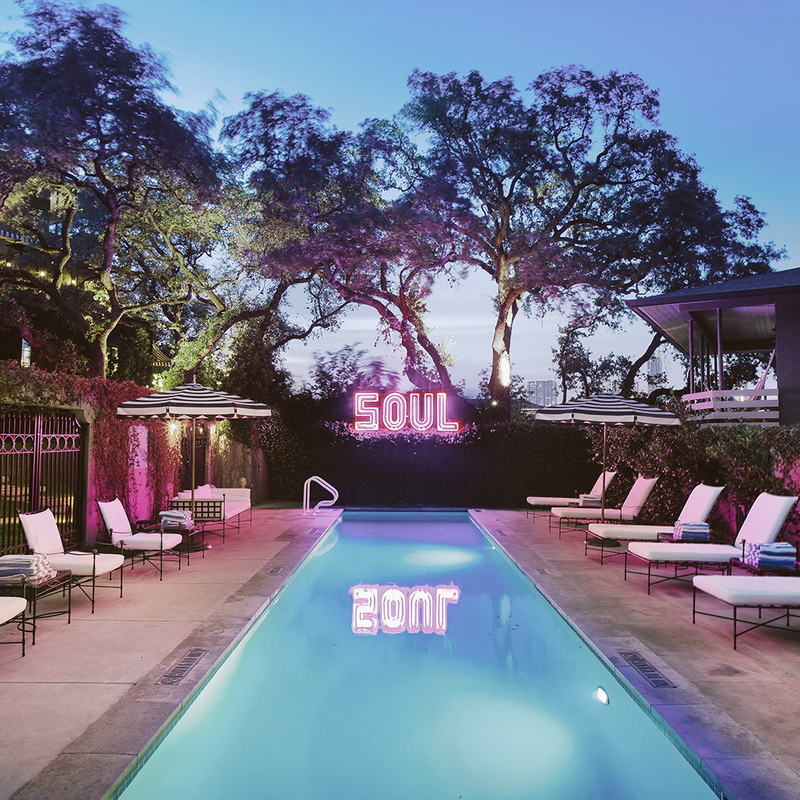 Outside, the narrow, highly-Instagrammable pool features a poppy neon pink “Soul” sign. The rooms also include turntables, so borrow from the extensive vinyl library and rock out. Once a 1930’s motor lodge, this private, arty urban retreat hosts a minimalist midcentury collection of cowhide rugs, concrete floors and handmade furniture and vintage cushions. Rent a typewriter and start on that novel or check out the old-school Polaroid camera to tote around on your bike. You’ll uncover plenty of photo worthy moments near the bustling artery of South Congress. Later, seek refuge in the foliage filled courtyard. Come night, a DJ spins, as a dance party gets going under the stars and around the fire pit. Arriving at the sweet, cozy Farmhouse is like staying at a friend’s chic country home. The 25 rooms are dressed with light wood, large marble bathrooms and tub and an outdoor terrace. An elegant Michelin starred eatery raises the bar with culinary delights including Old War Farms Poussin. 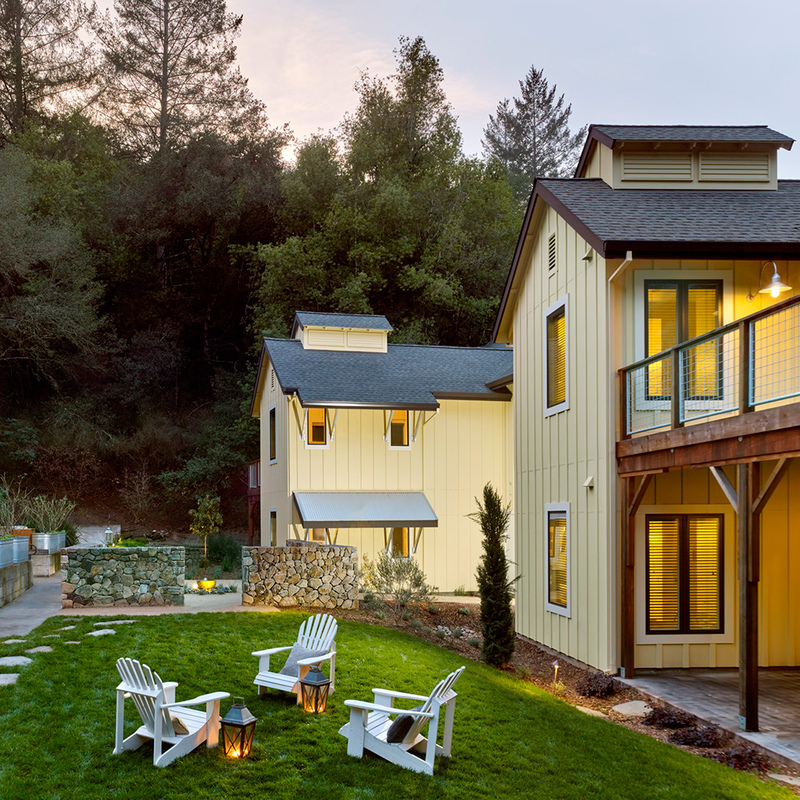 Later, linger around the fire pits with a glass of wine from the Russian River growing region and roast some s’mores. 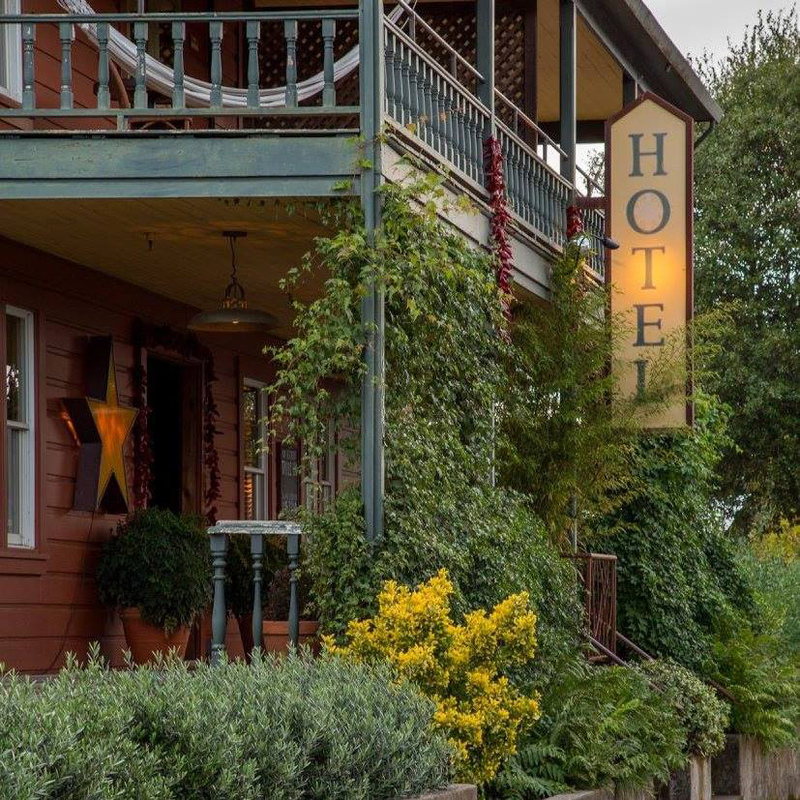 Just off Highway 28 and billing itself as a “modern roadhouse,” this lovely, rustic hotel offers only 15 rooms, some including wood-burning fireplaces, verandas and outdoor clawfoot tubs. Outside, nature lovers can hike the Mendocino redwoods, swim at the Navarro River and taste wine from nearby producers. 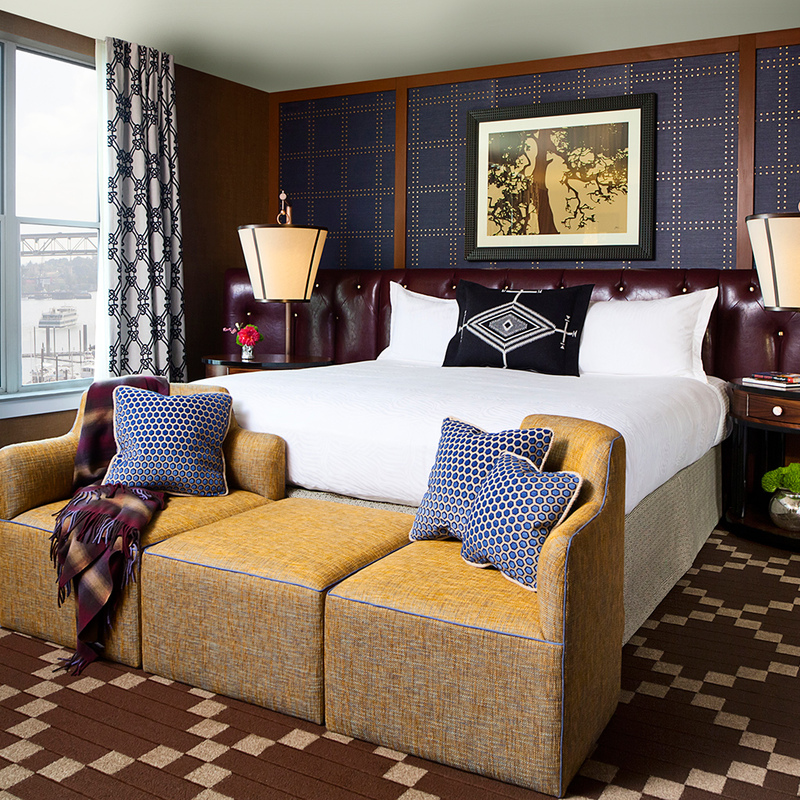 Set along the Willamette River, Kimpton’s warm, handsome 84-rooms are decked with clubby, leather beds, Pendleton Woolen Mills pillows and stellar views (ask for a riverfront room). 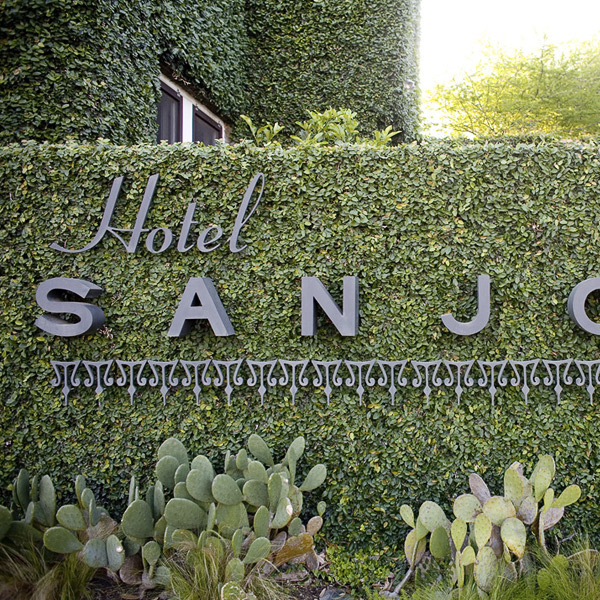 Good to note: A summer check-in entitles guests to a free glass of wine or beer. Borrow a free bike and cruise along the water’s paths and over the bridges. Other activities include complimentary yoga, fly-fishing and perhaps the tastiest activity—beloved s’mores hour in the hotel’s courtyard. 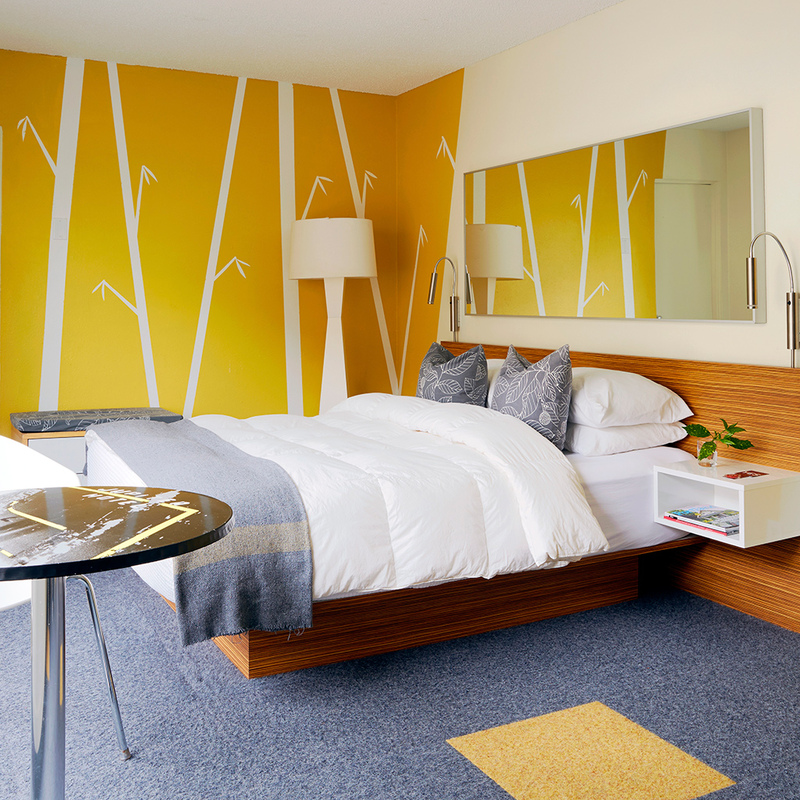 Once a midcentury motor lodge, the Jupiter reopened as a hip, budget boutique hotel in 2004 and outfits its vibrant, design-savvy rooms with different themes, furnishings and wall-sized Warhol-style pop culture art. Outside on the patio, the folks behind the popular venue Doug Fir make certain guests have ample food, drink and a cutting edge music scene. In the morning, grab a complimentary Electra bike and explore.